Evosys Laser GmbH celebrated the relocation to new premises in Erlangen on Friday 28 September with over 150 invited guests. Also, many representatives from politics and economy are there. Among the guests of honor were Bavarian Minister of the Interior Joachim Herrmann, and the Erlangen Mayor Dr. Ing. Elisabeth Preuß, who conveyed greetings. The celebrations marked the final phase of the move. Customers can now use the service of the young high-tech company on more than 2,000 square meters of space. 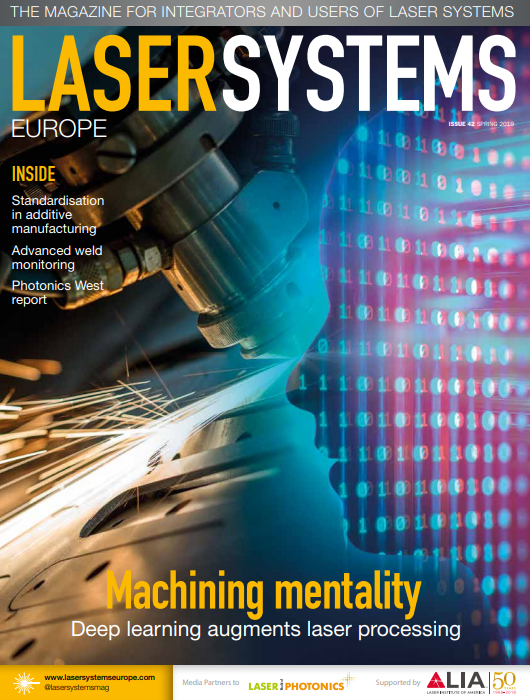 "As a recognized know-how leader in the field of laser welding of plastics, we can offer our customers even more possibilities and flexibility in the new rooms," said Managing Partner Frank Brunnecker on the motivation to move. The Minister of the Interior added in his speech: "You appreciate the Erlangen location and Erlangen knows what it has on highly successful companies like you." "To optimize customer service and international business, we have recently strengthened our team by another 10 employees. That would not have happened at the old location," added Managing Partner Holger Aldebert. The Evosys Group currently consists of three companies, the parent company Evosys Laser GmbH, the subsidiary LPW Services GmbH and the subsidiary Evosys (Suzhou) Laser System Co, Ltd. Due to the commitment of the managing directors, the company was awarded with this year's founder award of the Nuremberg Chamber of Commerce and Industry.